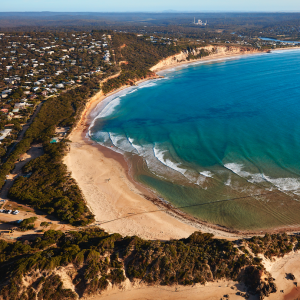 In August this year Barwon Water awarded the design and construction of an emergency outfall replacement to Dunstans Construction Group. 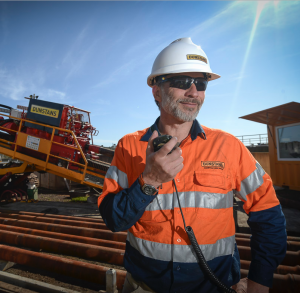 Stockton Drilling Services was engaged by Dunstans to provide engineering support and construction supervision. 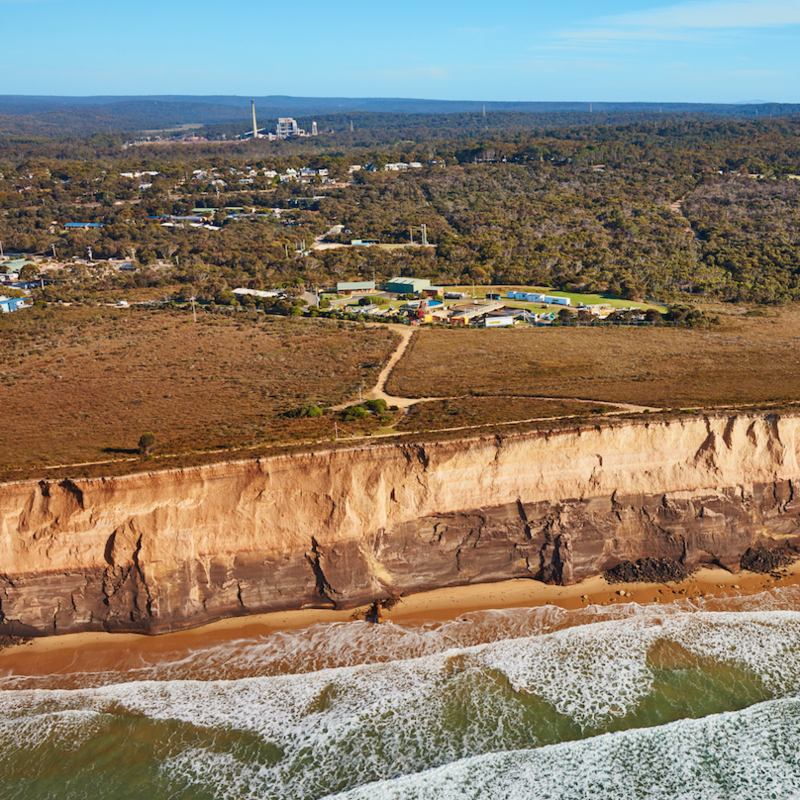 The project required the replacement of the existing outfall pipeline and structure that was damaged by the eroding and collapsing cliff line along the Great Ocean Road, just north of Anglesea in Victoria. 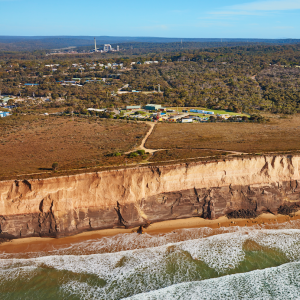 A geotechnical desktop assessment was undertaken to allow for the design of alternative preliminary drilling profiles and to define the scope for further geotechnical investigations. 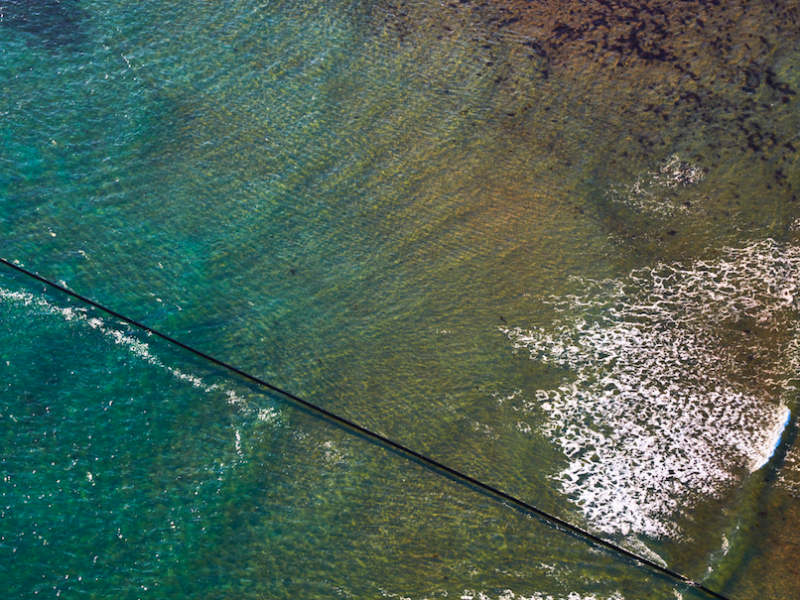 The project team then undertook bathymetric surveys and seabed sampling of the works corridor to establish suitable exit point locations. Seabed profile, water depth, currents, geology and environmental impacts were then evaluated to determine the lowest risk and optimised length and location for the drill exit and diffuser installation. 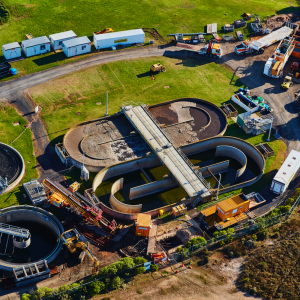 Considering the peak flows from the Water Reclamation Plant and installation forces, it was determined that a 450mm diameter HDPE pipeline would be required. 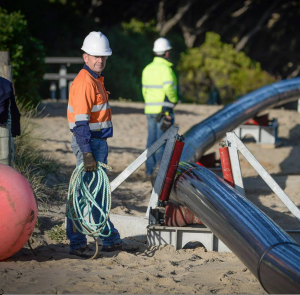 The pipeline would extend 700m from within the plant boundary to approximately 500m offshore to a water depth of 15m, where a 16m long diffuser would be installed. After the engineering phase was fast tracked by establishing a collaborative approach the construction team including Charles Stockton Project Manager, Rowena Bird HSE Manager and Andrew Horn HDD Superintendent, mobilised to site. 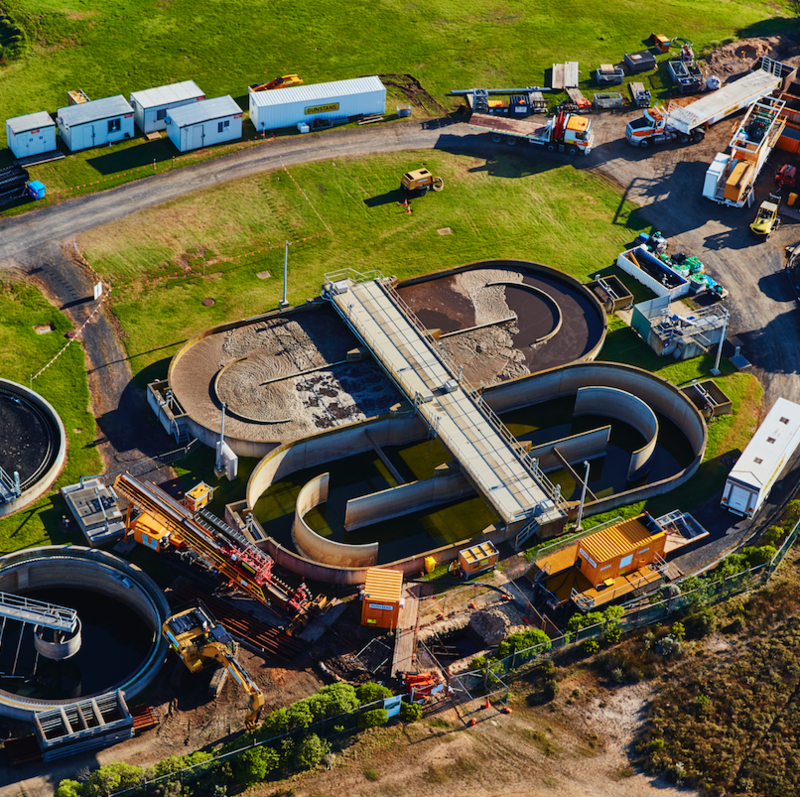 The equipment layout was configured to work alongside the existing water treatment plant infrastructure in a small and congested site. Dunstan’s modern and self-contained equipment provided a safe, reliable and efficient work place. Within three weeks of commencing on site, the pilot hole was complete, the hole opened by forward reaming and the pipeline welded and tested in preparation for pullback. 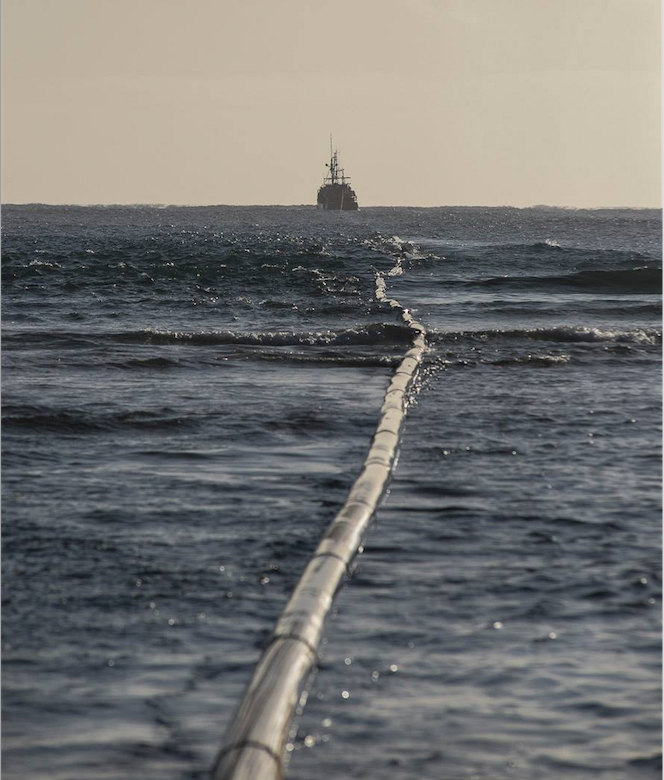 After monitoring the sea condition and identifying a suitable weather window, the pipeline was launched at Point Roadknight on the morning of Sunday 8th November, towed across the beach out to sea and aligned with the drill exit. 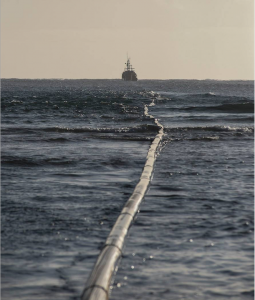 The pipeline was then attached to the drill string and pulled back into the bore while assisted by the offshore marine spread and dive team.